As a young soldier many years ago, I was sent off to do a course at the Army Education Centre which, looking at the name now, has slightly Stalinist undertones. It was in fact a bit of a cushy number, doing a "Methods of Instruction," course during which I spent a very dull week learning about lesson plans and making overhead projector slides from Letraset, (don't ask). The evenings were quite jolly though with cap badges from around the Army and even girls from the WRAC which was a quite new and seminal experience, just as it had been for generations of soldiers before me......... possibly with the same WRAC. Unfortunately, as bad luck would have it, following a wee small misunderstanding over said WRAC with some junior princes from the Gulf, (who were on a pre Sandhurst English course), something of an altercation developed. Luckily, I'd demonstrated terrific forethought and made friends with a couple of Gurkha NCO's during the week and they were only too happy to step in and stand beside me. The showy offy sons of the desert, having worked very hard to make themselves unpopular with everyone, declined the now evenly numbered match. Pleased that the showdown ended with a whimper rather than a bang we retired to the bar for the rest of the evening. Coincidentally, I arrived in Brunei some four years later to do a long walks-in-the-jungle course and one of those same Gurkha's had the bedspace next to me! Now that you're wondering where this rambling tale is going I can tell you that I only mention it to say that I've got some modest experience of soldiering with the Gurkha's. I like them, respect them and hope they will be part of the British Army for a very long time; which is exactly why I don't support Joanna Lumley's successful campaigning on their behalf. Indignant newspapers, a barnstorming actress and apologetic, cowed ministers are not the ingredients for a reasoned and balanced debate or discussion on the subject of Gurkha welfare. My primary concern is that following recent relaxation in immigration rules for ex Gurkha's the cost of what's now left of the Brigade may outweigh it's usefulness. They were always an easy sell politically because they were cheaper than British soldiers; this is no longer the case. Many will think them an anachronism anyway and difficult to justify in the 21st century. Others will ask why we disband and merge our own county regiments yet maintain the Gurkha's. I fear then that the recent campaigns then will put the whole lot on the chopping board. It would be sad if well intentioned campaigning resulted in complete disbandment because they've put themselves in the category of, "too expensive to justify; onerous to manage." Despite the emotional kukri waving interviews on the six o'clock news, it is a fact that many Gurkha's have been badly advised and many have elevated expectations of life here. The recent influx is, without question, causing problems. There are about 10,000 former Gurkha's and Nepalese family members living in the Aldershot and Farnbourgh area, (out of a population of 100,000). The local Gurkha Welfare Trust estimate there are another 12,000 inbound this year. Those who work most closely in the field of welfare have increasing concerns. A quick look over some of the Regimental and welfare web sites gives a flavour of the problems. Essentially, they can be split down into those who are able bodied and face short term difficulties through no fault of their own, elderly Gurkha's who are completely reliant on benefits with little or no means to look after themselves and Gurkha's who retired before 1997 who are resident here but without rights. 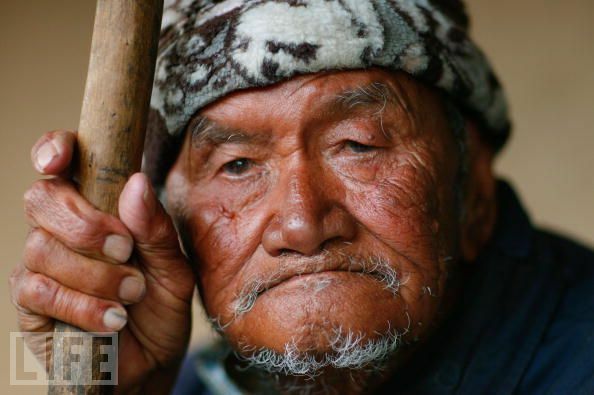 In fact, I question the validity of encouraging semi literate pensioners from Nepal to come to the UK, leaving behind the support network of family and communities. Like one Gurkha, just off the plane, who was mentally ill and could not speak English. His possessions consisted of two flea-ridden blankets and an equally lousy jacket with pockets stuffed with dog ends. In the end a veterans organisation managed to get him home to Nepal. It might be fairer to all simply to increase their pensions. Moreover, there are a number of issues developing locally which are wholly predictable when there is a concentrated influx of immigrants. There have been fights and gang related incidents around the schools in the Aldershot area as the Gurkha kids are becoming more westernised, the educational infrastructure may not be capable of absorbing large numbers of non English speaking kids from a third world country and the number of welfare cases has quadrupled in the last year. Whilst I'm the very first to step forward and bash the Government, for whom I have little regard, this is an instance where they may be right but have handled the situation so badly that they are being steamrollered into making bad calls. Interesting then, that of the few voices who have stepped forward to argue the contrarian case some are ex Gurkha's; like Lord Brammall did last year. It would be a shame if an actress and a bunch of lawyers end up being responsible for consigning a brave heritage to the history books forever but from where I'm sitting, it's all looking rather inevitable. I note that the Daily Telegraph and other populist cheeleaders of Her Lumleyness are waking up to the implications of last years panicked decisions.